Richmond is an author and journalist who’s written numerous books, including Ballpark on the building of Camden Yards in Baltimore. Tomorrow is Opening Day, where every team starts anew with a fresh season is waiting to unfold. 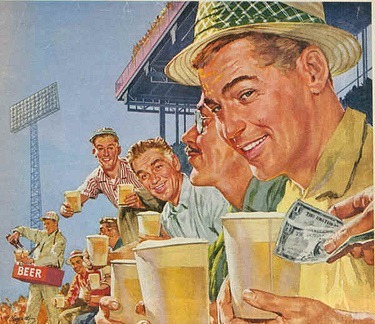 Play ball…and keep requesting good beer at your ballpark. You may recall, we spent a day a couple months back on the subject of brewing light beer…at least in the difficulty of making it. Here’s a pretty well done column to further the point. 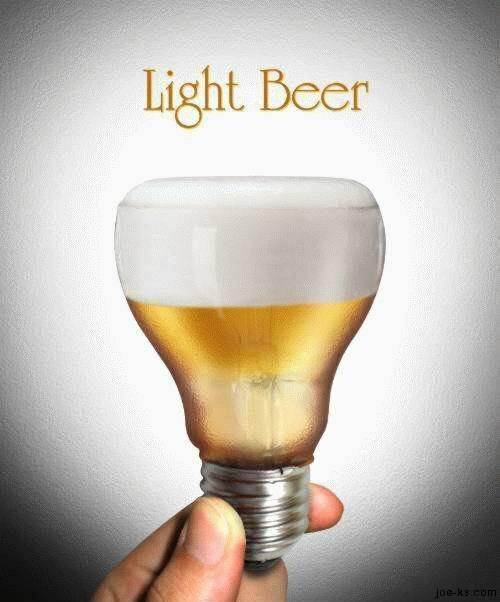 Light beer is incredibly difficult to make and even tougher to make consistently, yet the large U.S. brewers manage to do this by and large. As we’ve said multiple times, including recently, their goal is to be cold & wet, not necessarily flavorful. This column goes into a little more detail regarding the tremendous resources that the “big guys” put into consistency and the difficulty in making a very light, clean – almost tasteless – beer. As a brewer, one has to respect what they do. There are many other of course, particularly in local areas. —Alexander Hamilton, Founding Father and self-made man. This was one of the better “pairing” summaries I’ve yet seen regarding beer and food. Basically, the fine folks at the Splendid Table list a number of flavors found in beer, examples of each and potential pairing for each. While I’m not entirely sure of the “scientific” terms used, particularly the last one, this is still pretty well done. If you enjoy your meals, almost as much as your beverages, than this short page is worth a read. Basically, it’s making fun of McDonalds for launching a new crappy tortilla, and causing a ruckus in the fast food world that will literally capture millions of new customers. This stuff happens all the time in the world of “big” food. Chef Boyardee, Swanson’s TV Dinners, Pizza Hut, Kraft Macaroni & Cheese, etc. You get the idea. The funny thing is, for the vast majority of people, they fully realize the above mentioned brands (and many, many others) are not exactly the “best” example of each food. Most people prefer a backyard grilled homemade hamburger to that served at the Golden Arches. Most people realize that grandma’s spaghetti recipe was far superior to anything found in a can of Spaghetti-O’s. 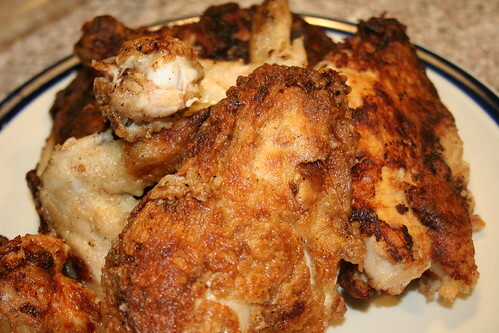 Everyone knows that the chicken found in the frozen box by Banquet will never be as good as the stove top chicken fried in cast iron by your Aunt Mable from Alabama. You may even like Kraft Macaroni & Cheese…but you probably also realize it isn’t exactly a high quality product, much less real cheese. Fact is, these industrial foods have had the “food” processed right out of them They’re made to be non-offensive to anyone who eats them so that they may appeal to the widest possible audience. None of them are made to be the “best” example of their product. They’re pasteurized, processed and preserved for shelf-life and maximum sales, not maximum or even marginal flavors. So why is it that industrial beer still controls 90% of the American market? How is it that many people still think macro beer is the “best” example of the product? Industrial beer is made to be non-offensive, just like the other examples mentioned above. It is NOT “triple hopped,” “beechwood aged” or even the generic example with the “most taste,” despite Madison Avenue’s proclamation. It IS an industrial product. Treat it that way. It’s amazing to me that there are still supposedly more distributors than brewers, as the number of wholesalers has allegedly dropped considerably over the past several years. THIS states there are about 2000 beer wholesalers out there as of 2012, and I’ve read there are as few as 1000 this year, but haven’t been able to find a definitive number. Anecdotally, in my own geographic area, there are approximately 25 breweries and 4 wholesalers, including one very small distribution company with only 3 brands. This is down from 5 last year as two of them have just announced a merger. Why does it matter? Well, THIS story further details some of the reasons the distribution game is so important for small producers and consumers alike and why the true battle for your beer dollars is being waged in an unseen war away from the eyes of most consumers. 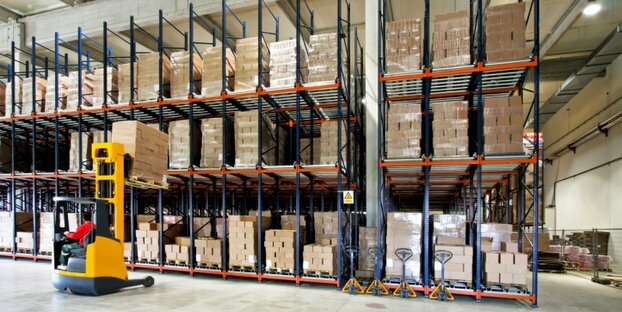 A further reduction of distribution options, relative to producers, means a larger bottleneck for distribution…and access to markets is the number one challenge for growing craft brewers, particularly as more wholesalers are “aligned” with or owned partially or outright by large breweries. ABInBev, for example, owns around 500 distributors alone throughout the U.S.
More than ever, every vote counts…and every dollar you spend on a beer counts as a vote in that $2.5 billion market. So…do any of you use any beer apps? We have to admit, we’ve grown steadily addicted to our Untappd app (which is free on both iPhone & Android smartphones), and allows us track, rate and add locations and photos into your log. You can also find, share & track friends (** shoot me an email for my I.D. if you’d like to become “friends” **), exchanging messages and “toasts” on different beers and reviews and earn “badges” for completing certain tasks. It’s pretty user friendly too and can be further linked to Facebook or Twitter, where one’s updates & beer “conquests” can be posted to a wider world. We’ve further made good use of the BJCP app, which does a nice job of defining beer styles for reference. Having sampled a number of other apps, I’ve found many of them unwieldy or lacking in users, which kind of minimizes the fun of them. A few are listed here, but there are others out there as well. What apps are you using? What do you like and not like about some you’ve tried? As spring is finally creeping into our local weather patterns – as I sweep snow off my walk again – it’s time to start thinking of summer. In Bavarian, there’s almost no better adventure than a Floßfahrt: literally a “river drive,” typically on the Isar river, just outside of Munich. We did this a few years ago and it was a blast. There are a couple family tour companies that run these things – and they’re not inexpensive – but it is an adventure that won’t soon be forgotten as they’ve been doing them for hundreds of years. Even better, it’s all inclusive, which means your transportation, lunch and snacks, and most importantly, unlimited BEER is completely included. Upon arrival at the embarkation point (ours was Wolfratshausen), there are huge logs that have been collected via trolly and workers busily attaching them together by spike to form a platform. They spike in a sitting platform with benches, and a little four corner tent that serves as the “restroom,” stock it full of musicians, kegs and snacks and away you go. Some things just can’t be done in the U.S.A.
—Phantasmagoria by Lewis Carroll, published 1869. He was an English writer, mathematician, logician, Anglican deacon and photographer. His most famous writings are Alice’s Adventures in Wonderland and its sequel Through the Looking-Glass, as well as the poems “The Hunting of the Snark” and “Jabberwocky”, all examples of the genre of literary nonsense. He is noted for his facility at word play, logic, and fantasy.